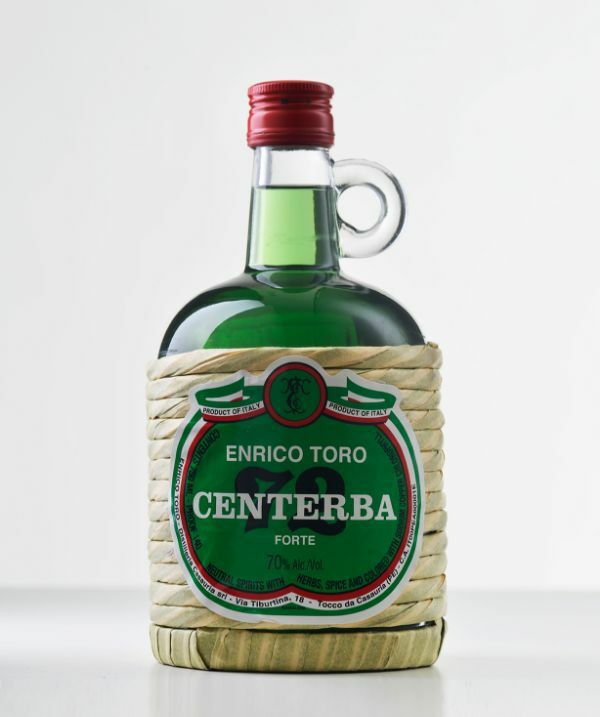 Centerba Toro is the pride of the Abruzzi tradition. The most powerful of the Italian liqueurs, it embodies the preference of the Abruzzi palate, "the spicier the better." Centerba is earthy and wonderfully herbal with a bite. The herbs for this liqueur are well known for their restorative and healing properties, and Centerba was originally made by herbalists as a digestive. The aromatic herbs are handpicked from the Maiella and Morrone mountains, and only the best leaves are used. Their long steep in premium alcohol and the long, natural infusion in special containers, together with meticulous observance of the ancient recipe, protect the goodness and the quality of this unique and potent spirit. Pours fluorescent lime green and offers attractive, semi-sweet aromas that are primarily herbal, including thyme, oregano, spearmint, pine-sap and fresh licorice strap. Starts out soft and light in the mouth, then the massive alcohol asserts itself making for a prickly and slightly hot experience that’s also intensely drying. Peppermint and licorice combine with a tingling spiciness in a momentary flash of flavor that immediately evaporates into the aftertaste that is long, dry and spicy. Peppermint and pine needle fade.